March always makes me think of nautical stripes. 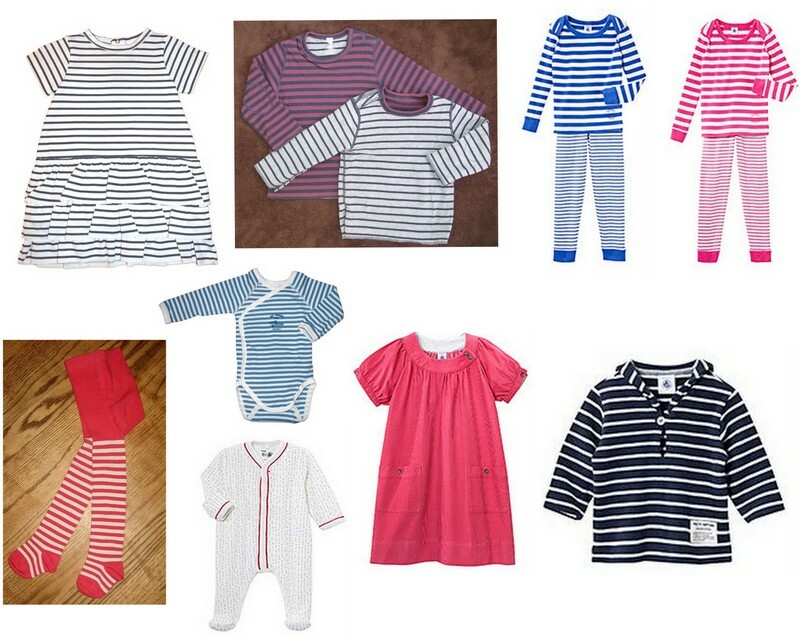 Petit Bateau has been making wonderful striped clothing for children for years and always looks so comme il faut. But Petit Bateau is pricey in the US! Enter SnapdragonsBaby.com, an online retailer who carries a good selection of Petit Bateau merchandise. All of it is on sale right now, and all sale items qualify for an additional 30% discount (reflected in the cart). And shipping is free for any order over $15 ($2.95 flat rate shipping for orders under $15). Everything pictured above ends up being about 50% off or more when all is said and done.